Health Insurance Hustle: High Prices Can Boost Profits : Shots - Health News Patients may think their insurers are fighting on their behalf for the best prices. But saving patients money is often not their top priority. Just ask Michael Frank about his hip surgery. Widely perceived as fierce guardians of health care spending, insurers, in many cases, aren't. In fact, they often agree to pay high prices, then pass them along to patients. Michael Frank ran his finger down his medical bill, studying the charges and pausing in disbelief. The numbers didn't make sense. He was even supposed to get a deal on the cost. His insurance company, Aetna, had negotiated an in-network "member rate" for him. That is the discounted price insured patients get in return for paying their premiums every month. But Frank was startled to see that Aetna had agreed to pay NYU Langone $70,000. That's more than three times the Medicare rate for the surgery and more than double the estimate of what other insurance companies would pay for such a procedure, according to a nonprofit that tracks prices. Fuming, Frank reached for the phone. He couldn't see how NYU Langone could justify these fees. And what was Aetna doing? As his insurer, wasn't its duty to represent him, its "member"? So why had it agreed to pay a grossly inflated rate, one that stuck him with a $7,088 bill for his portion? Frank wouldn't be the first to wonder. The United States spends more per person on health care than any other country does. A lot more. As a country, by many measures, we are not getting our money's worth. Tens of millions remain uninsured. And millions are in financial peril: About 1 in 5 is currently being pursued by a collection agency over medical debt. Health care costs repeatedly top the list of consumers' financial concerns. 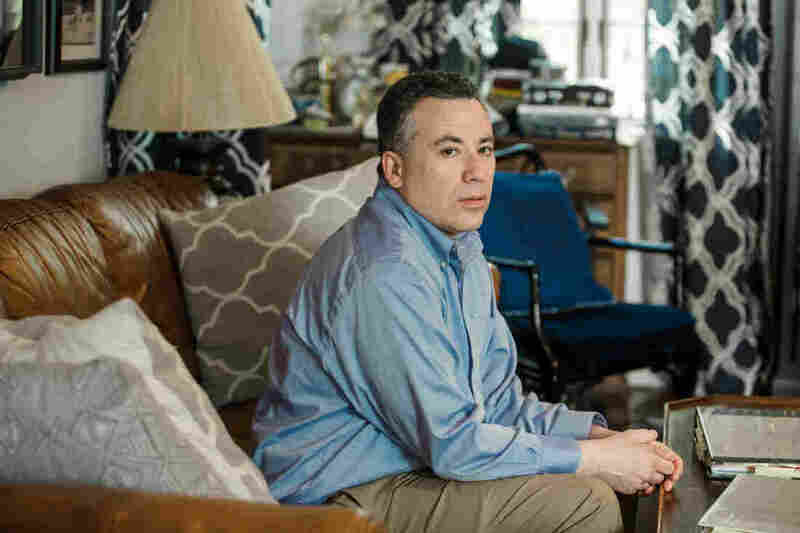 "As bad as NYU is, Aetna is equally culpable because Aetna's job was to be the checks and balances and to be my advocate," said Michael Frank, seen at his home in Port Chester, N.Y. Experts frequently blame this on the high prices charged by doctors and hospitals. But less scrutinized is the role insurance companies — the middlemen between patients and those providers — play in boosting our health care tab. Widely perceived as fierce guardians of health care dollars, insurers, in many cases, aren't. In fact, they often agree to pay high prices, then, one way or another, pass those high prices on to patients — all while raking in healthy profits. After Aetna approved the in-network payment of $70,882, (not including the fees of the surgeon and anesthesiologist), Frank's coinsurance required him to pay the hospital 10 percent of the total. Frank found himself in a standoff familiar to many patients. The hospital and insurance company had agreed on a price, and he was required to help pay it. It's a three-party transaction in which only two of the parties know how the totals are tallied. Frank could have paid the bill and gotten on with his life. But he was outraged by what his insurance company agreed to pay. "As bad as NYU is," Frank said, "Aetna is equally culpable because Aetna's job was to be the checks and balances and to be my advocate." And he also knew that Aetna and NYU Langone hadn't double-teamed an ordinary patient. In fact, if you imagined the perfect person to take on insurance companies and hospitals, it might be Frank. The hospital and insurance company may have expected him to shut up and pay. But Frank wasn't going away. Patients fund the entire health care industry through taxes, insurance premiums and cash payments. Even the portion paid by employers comes out of an employee's compensation. Yet when the health care industry refers to "payers," it means insurance companies or government programs like Medicare. Patients who want to know what they'll be paying — let alone shop around for the best deal — usually don't have a chance. Before Frank's hip operation, he asked NYU Langone for an estimate. It told him to call Aetna, which referred him back to the hospital. He never did get a price. But the cost of health care is a growing burden for MCS and its 170 employees. A decade ago, Master said, an MCS family policy cost $1,000 a month with no deductible. Now it's more than $2,000 a month with a $6,000 deductible. MCS covers 75 percent of the premium and the entire deductible. Those rising costs eat into every employee's take-home pay. Economist Priyanka Anand of George Mason University said employers nationwide are passing rising health care costs on to their workers by asking them to absorb a larger share of higher premiums. Anand studied Bureau of Labor Statistics data and found that every time health care costs rose by a dollar, an employee's overall compensation got cut by 52 cents. Master said his company hops between insurance providers every few years to find the best benefits at the lowest cost. But he still can't get a breakdown to understand what he is actually paying for. "You pay for everything, but you can't see what you pay for," he said. Master is a CEO. If he can't get answers from the insurance industry, what chance did Frank have? Frank's hospital bill and Aetna's "explanation of benefits" arrived at his home in Port Chester, N.Y., about a month after his operation. 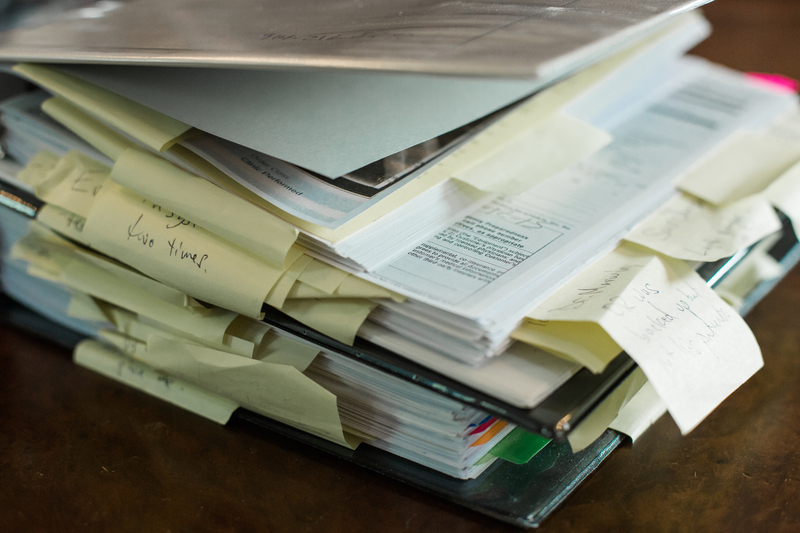 Loaded with an off-putting array of jargon and numbers, the documents were a natural playing field for an actuary like Frank. Under the words, "DETAIL BILL," Frank saw that NYU Langone's total charges were more than $117,000, but that was the sticker price, and those are notoriously inflated. Insurance companies negotiate an in-network rate for their members. But in Frank's case at least, the "deal" still cost $70,882. One line stood out — the cost of the implant and related supplies. Aetna said NYU Langone paid a "member rate" of $26,068 for "supply/implants." But Frank didn't see how that could be accurate. He called and emailed Smith & Nephew, the maker of his implant, until a representative told him the hospital would have paid about $1,500. His NYU Langone surgeon confirmed the amount, Frank said. The device company and surgeon did not respond to ProPublica's requests for comment. Frank then called and wrote Aetna multiple times, sure it would want to know about the problems. "I believe that I am a victim of excessive billing," he wrote. He asked Aetna for copies of what NYU Langone submitted so he could review it for accuracy, stressing he wanted "to understand all costs." Frank also repeatedly called and wrote NYU Langone to contest the bill. In its written reply, the hospital didn't explain the charges. It simply noted that they "are consistent with the hospital's pricing methodology." Increasingly frustrated, Frank drew on his decades of experience to essentially serve as an expert witness on his own case. He gathered every piece of relevant information to understand what happened, documenting what Medicare, the government's insurance program for the disabled and people over age 65, would have paid for a partial hip replacement at NYU Langone — about $20,491 — and what FAIR Health, a New York nonprofit that publishes pricing benchmarks, estimated as the in-network price of the entire surgery, including the surgeon fees — $29,162. ProPublica sent the Medicare and FAIR Health estimates to Aetna and asked why it had paid so much more. The insurance company declined an interview and said in an emailed statement that it works with hospitals, including NYU Langone, to negotiate the "best rates" for members. The charges for Frank's procedure were correct given his coverage, the billed services and the Aetna contract with NYU Langone, the insurer wrote. NYU Langone also declined ProPublica's interview request. The hospital said in an emailed statement that it billed Frank according to the contract Aetna had negotiated on his behalf. Aetna, it wrote, confirmed the bills were correct. After seven months, NYU Langone turned Frank's $7,088 bill over to a debt collector, putting his credit rating at risk. "They upped the ante," he said. Michael Frank assembled detailed paperwork for his challenge to charges for his hip surgery. Turns out, insurers don't have to decrease spending to make money. They just have to accurately predict how much the people they insure will cost. That way they can set premiums to cover those costs — adding about 20 percent for their administration and profit. If they're right, they make money. If they're wrong, they lose money. But, they aren't too worried if they guess wrong. They can usually cover losses by raising rates the following year. 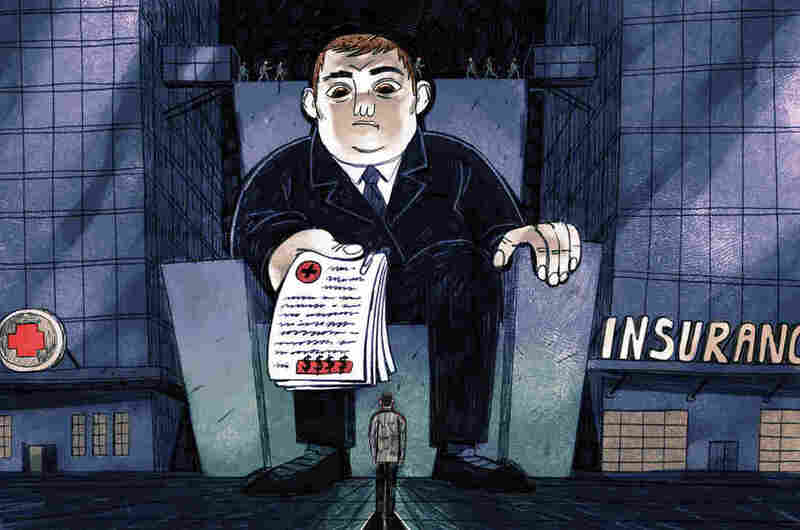 "These insurers and providers have a symbiotic relationship," said Wendell Potter, who left a career as a public relations executive in the insurance industry to become an author and patient advocate. "There's not a great deal of incentive on the part of any players to bring the costs down." Insurance companies may also accept high prices because often they aren't always the ones footing the bill. Nowadays about 60 percent of the employer benefits are "self-funded." That means the employer pays the bills. The insurers simply manage the benefits, processing claims and giving employers access to their provider networks. These management deals are often a large, and lucrative, part of a company's business. Aetna, for example, insured 8 million people in 2017, but provided administrative services only to considerably more — 14 million. To woo the self-funded plans, insurers need a strong network of medical providers. A brand-name system like NYU Langone can demand — and get — the highest payments, said Manuel Jimenez, a longtime negotiator for insurers including Aetna. "They tend to be very aggressive in their negotiations." On the flip side, insurers can dictate the terms to the smaller hospitals, Jimenez said. The little guys "get the short end of the stick," he said. That's why they often merge with the bigger hospital chains, he said, so they can also increase their rates. Patients, of course, don't know how the behind-the-scenes haggling affects what they pay. By keeping costs and deals secret, hospitals and insurers dodge questions about their profits, said Dr. John Freedman, a Massachusetts health care consultant. Cases like Frank's "happen every day in every town across America. Only a few of them come up for scrutiny." Bluebook doesn't have price information for Frank's operation: a partial hip replacement. But its price range in the New York City area for a full hip replacement is from $28,000 to $77,000, including doctors fees. Its "fair price" for these services tops out at about two-thirds of what Aetna agreed to pay on Frank's behalf. Frank, who worked with mainstream insurers, didn't know about Bluebook. If he had used its data, he would have seen that there were facilities that were both high quality and offered a fair price near his home, including Holy Name Medical Center in Teaneck, N.J., and Greenwich Hospital in Connecticut. NYU Langone is one of Bluebook's highest-priced, high-quality hospitals in the area for hip replacements. Others on Bluebook's pricey list include Montefiore New Rochelle Hospital in New Rochelle, N.Y., and Hospital for Special Surgery in Manhattan. ProPublica contacted Hospital for Special Surgery to see whether it would provide a price for a partial hip replacement for a patient with an Aetna small-group plan like Frank's. The hospital declined, citing its confidentiality agreements with insurance companies. In the back of the courtroom, NYU Langone's attorney, Anton Mikofsky, agreed to talk about the lawsuit. The case is simple, he said. "The guy doesn't understand how to read a bill." The high price of the operation made sense because NYU Langone has to pay its staff, Mikofsky said. It also must battle with insurance companies that are trying to keep costs down, he said. "Hospitals all over the country are struggling," he said. "Aetna reviewed it twice," Mikofsky added. "Didn't the operation go well? He should feel blessed." Mikofsky told the judge Aetna found nothing wrong with the billing and had already taken care of most of the charges. The hospital's position was clear. Frank owed $7,088. Frank paid the $4,000, but held on to his outrage. "The system," he said, "is stacked against the consumer."